If you like escape rooms, there are now many options for you to get your fix at home. We’ve put together a list of some of our favorite board games that are either an escape room in a box, or have the deduction and puzzle solving aspects of an escape room. There are a lot to choose from out there. The escape room in a box concept will have you solving a series of puzzles along a story. You’ll be interacting with the pieces of the game in various ways to accomplish this. They are fine with just one person or a small group. Just from our experience, more than 4 players could mean that some people sit around watching instead of playing, but your experience may be different. The two we’ve played and enjoyed the most are the Exit series and the Unlock series. 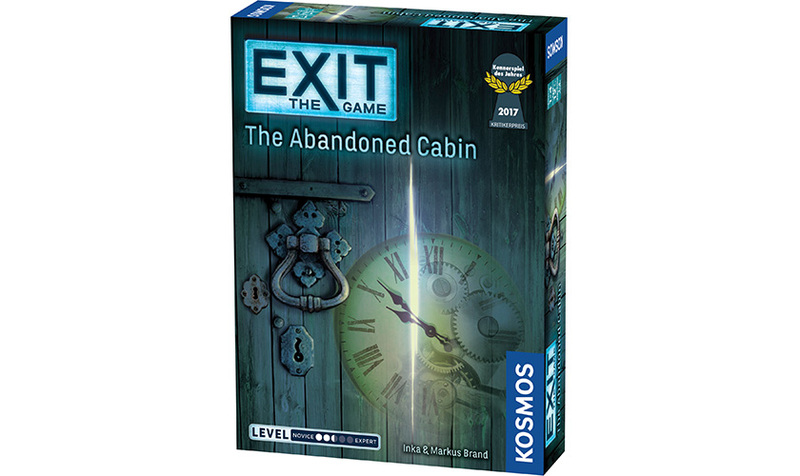 The Exit games had the more clever puzzles and enjoyable experience. You will be interacting with the pieces of the game, sometimes even destroying them in the process. For us that was both a reluctant and then satisfying experience. This means that once played, the game is going in the trash, or burned in a bonfire if you’re like us. 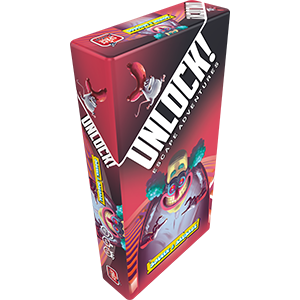 The Unlock games were also very enjoyable. The puzzles are still clever and fun, but not as interesting at the Exit games. That’s partially due to the game mechanics. It’s all played with cards and an app. This made it somewhat more fun for group play, but didn’t have the tension or “cool” factor of Exit. The big plus of Unlock is once you solve it, you can pass it on to friends or family. The next few games while not escape room games, they will test your deduction and puzzle solving skills. 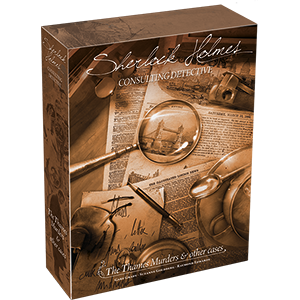 Sherlock Holmes Consulting Detective is an amazing, and sometimes difficult game. 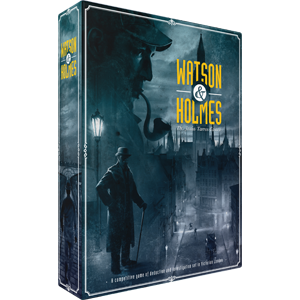 You play apprentices to the famous Sherlock Holmes, tasked with solving one of 10 cases included in the box. Each can take an hour or more, all depending on how long you decide to spend on them. In fact the whole game feels like a “choose your own adventure book” broken down into board game form. After reading about the initial crime scene you, you use a map, special book, and a newspaper to travel around London interviewing suspects, getting evidence examined, putting together the pieces of the puzzle, and maybe even uncovering more mysteries. Your ultimate goal? Do it in fewer steps than Sherlock did. Once you decide you are ready, you skip to a section where you answer a series of questions about the case, then Sherlock will explain everything to you. It’s a great experience as a single player, or in a group. The only draw back is once you finish all 10 cases you are done. But realistically that could be an unforgettable 20+ hours. Watson and Holmes is another game themed around that famous detective. However, where Consulting Detective is a cooperative game, Watson and Holmes is competitive. After hearing the initial case, each player takes turns travelling to various locations around the game board (which is a series of cards laid out). However, players can bid on that location to see who gets to look at the information. Bidding chips are a limited resource, so you have to choose wisely. Once a player thinks they know what the solution is, they can choose try and solve it. You only get once chance, so if you get it wrong the other players will get a chance later. It’s almost like an advanced version of the game Clue. It’s a tense and very fun game! Much like Consulting Detective once you finish the 13 cases you are done with the game. But for both you can then regift them! The last two games are a little different. In both one player will know the mystery, in these cases the details of a murder. That player will silently give hints to the other players so they can solve it. 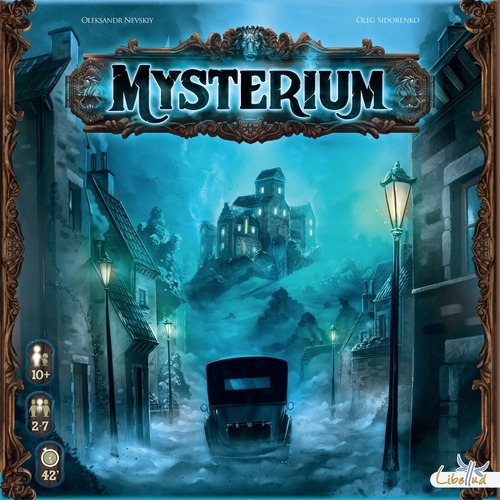 In Mysterium one player is a ghost silently trying to get the other players to solve their murder. Through the use of pictures they can piece together what happened. The other players are mediums who try and interpret the pictures. At the end of each round if a majority of the mediums are correct, they win. But time is limited, so you all must work together to solve the mystery. 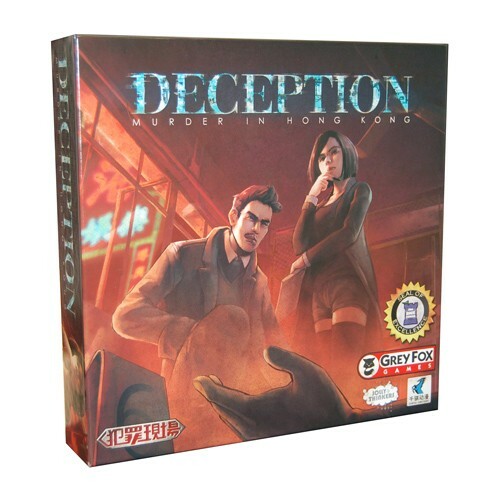 In Deception: Murder in Hong Kong one player is the detective, while the others are suspects. Each has a series of cards in front of them depicting various weapons and items. Secretly one of the suspects is chosen as the murderer, and they will show one weapon and item to the detective. That becomes the means and key piece of evidence. Using special tiles the detective can point to a series of keywords and try to piece together the murder for the other suspects. The detective cannot speak though. At the end of each round the suspects can discuss what was presented. Of course they know one is secretly a murder, so the discussion is intense. Each player get’s one chance to guess the weapon and key piece of evidence. If no one gets it right, the murder gets away with the crime! Where should you buy these games? We recommend Wandering Dragon in Plainfield, and TPK Gaming in Glen Ellyn. Be sure to call before hand to make sure they have your game in stock! Both places have some great specials going on Black Friday and over the weekend. We love players who support local small business! Let us know your favorite games in the comments!